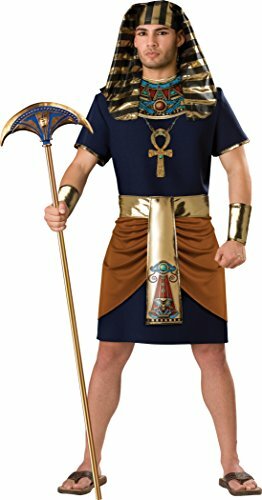 Convince beholders you were resurrected after a Millennium in our Egyptian kit! 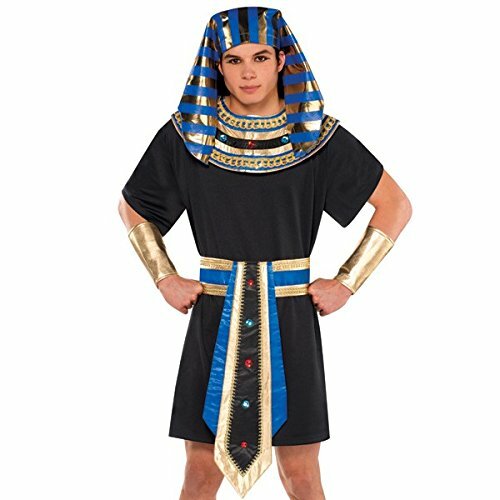 this classic Egyptian costume for men features a black tunic with wide sleeves that end above the elbow. 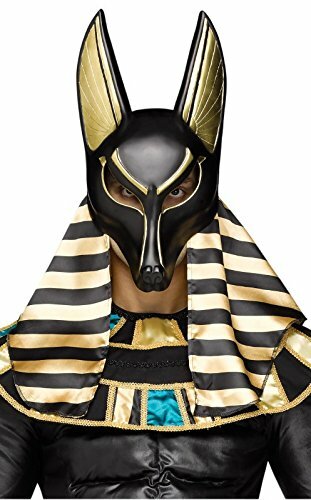 The regal Pharaoh headpiece matches the intricately detailed gold collar with blue trim and bejeweled accents. A matching tabard belt and gold lame wrist cuffs complete this royal ruler of the Nile engagement. If you have any question feel free to post them and please 😀you can also see my video for the blue helmet if you like.